RT’s innovative RT360 app has been named the best photo & video app at the prestigious annual Shorty Awards, which reward the best online content. The channel also won four audience prizes. “To win several awards at once represents an outstanding debut on the scene of the Shorty Awards—one of the largest and most prestigious competitions in the social media sphere,” said RT’s Head of Online Projects Kirill Karnovich-Valua. The panoramic video-viewing RT360 app, which is available on Google Play, App Store and Oculus Store, also won the popular vote in its category, with thousands of users casting their ballots over the past several months to propel it to the accolade. Designed by a team that was among the earliest to take advantage of the potential of interactive panoramic video, RT360 boasts an original design – viewing the app is in itself a 360-degree experience. It also uses the intuitive categories Discover, Engage and Feel to help viewers choose what they want to see, with a total number of panoramic videos already exceeding 100. Other Audience Honor prizes went to Space 360 in the Virtual Reality category, #DigitalVDay for Best Live News Coverage of the Victory parade in Moscow in 2016, surpassing other competitors including Bloomberg. RT’s tailored social media project In the Now also got its fair share of attention, snatching the prize as the Best Facebook Presence Category. In the Now is RT’s playful, but informative, digital content producer, which has helped to bring a new audience to the channel. #DigitalVDay provided simultaneous coverage of the 71st celebration of victory over Nazism on all major online platforms, providing vantage points previously unavailable to viewers. The RT audience was able to enjoy the parade from the cabin of a Su-27 flying over Red Square, an Mi-8 helicopter, and the top of a self-propelled gun. “We are especially proud for winning the Audience Honor awards. We owe this victory to our fans and followers who made it happen. This achievement is the finest motivation for us to do our best to provide audience with quality and engaging content,” said RT’s Deputy Head of Social Media Gleb Burashov. People also voted RT’s Space 360 project – filmed with the help of Russia’s space agency Roscosmos and Energia Rocket and Space Corporation – into first place in the category of Best Use of Virtual Reality. The project broadcast the first-ever panoramic video from the International Space Station (ISS). Narrated by cosmonaut Andrey Borisenko, and beamed down to Earth while he was still in space, it provided unprecedented insight into life in the orbit. 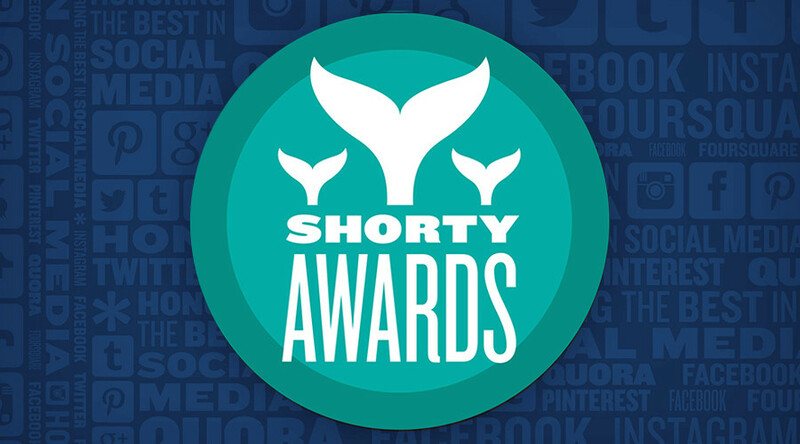 The prestigious Shortys annual award, also seen as a kind of ‘Grammy’ for social media, was first held in 2009. Among others, the jury is compiled of representatives from various renowned media outlets, including the New York Times and CNN. This year’s victory comes on the heels of success in 2016, when RT won seven trophies of the prestigious European Lovie Awards honoring achievements in the digital media.